Leila Kayondo - "You are going to be ok My friend @radioxide. You know. I always call you my soldier. Don't forget it. Get well soon I know. I pray." 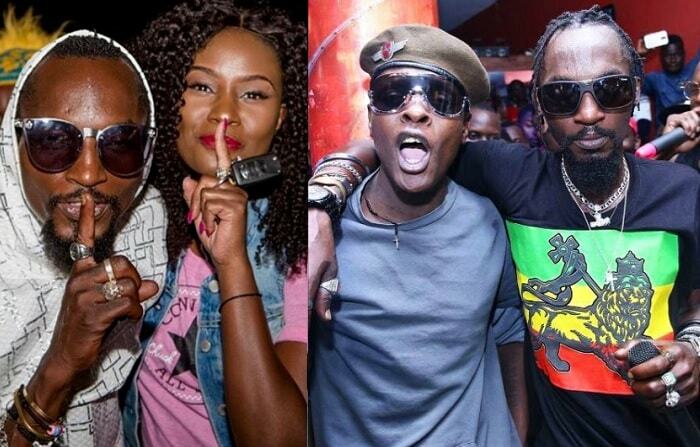 Juliana Kanyomozi - "Tonight I’m saying a prayer for you dear friend. Hang in there. All will be well." Exodus - "Get well soon bro, the Lord is with you!! And by his stripes you are already healed in Jesus name." Idring Patrick (Comedian) - "My prayers are with you bro, Get well soon." Sarah Zawedde - "May God's healing hand touch you Moze Radio The world still needs your beautiful vocals.Get well soonest." Bobi Wine - "Just came from Case Clinic to check on comrade Moses Radio. He is out of danger, although his condition remains serious. Let us continue praying for him to get well soon." Desire Luzinda - "We meet people in our lives but they all impact us differently...I have interacted with you #Mozeradio in your sober hours/days and I must say you are brilliant, soft spoken and kind.mYou have spoken to me words that helped me make major decisions in my life. Caring less whether you were at fault or not in whatever happened that led you to this, all I pray for is that you recover soon." Jose Chameleone - "On behalf of GOOD LYFE Management,I share this vital information with my Friends and Family with whom we are praying for Gods hand to touch and heal our brother Moses “RADIO” Who is currently under intensive Care. As strong as you are my brother Radio, We shall overcome even this. With God all is possible.